The skippers of the five 100ft super maxis came together to give their thoughts on how this years Sydney Hobart race will play out and what edge they have going in to the start. 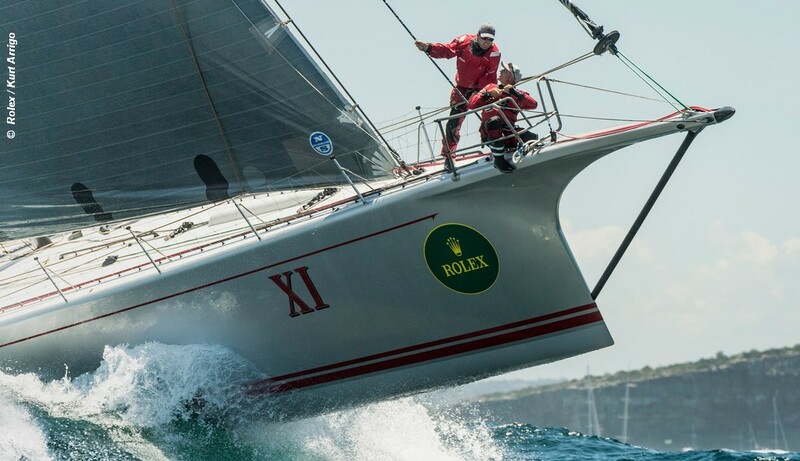 The Rolex Sydney Hobart Yacht Race is a 628 nm classic long ocean race. Time) on 26 December 2018 – Wednesday 01:50 hours UK time. The 100ft super maxi Perpetual LOYAL, smashed the race record set by Wild Oats XI in 2012 by almost five hours, to now stand at one day 13 hours 31 minutes and 20 seconds. From the spectacular Boxing Day start in Sydney Harbour, the fleet sails out into the Tasman Sea, down the south-east coast of mainland Australia, across Bass Strait (which divides the mainland from the island State of Tasmania), then down the east coast of Tasmania. At Tasman Island the fleet turns right into Storm Bay for the final sail up the Derwent River to the historic port city of Hobart. After turning right at Tasman Island, sailors often think the race is near completed, but at this point there is still 40 miles of often hard sailing to go. Yachts can be left behind in the maze of currents and wind frustrations. Even when they round the Iron Pot, a tiny island that was once a whaling station, there is still a further 11 miles up the broad reaches of the Derwent River to the finish line off Hobart’s historic Battery Point, with Mount Wellington towering over the city.